Casper VPN allows you to browse the internet securely using a set of encryption protocols. User can accordingly switch between these protocols and select which VPN protocol is best-suitable according to your activity. CasperVPN will summarize the difference between different VPN protocols and guide you on how to choose the best encryption protocol that suites your needs. Point to Point Tunneling Protocol (PPTP) is the most famous VPN protocol which creates a VPN tunnel over dial-up networks. PPTP was created by Microsoft Corporation, it allows you to create a virtual network and connect it securely through the public internet. 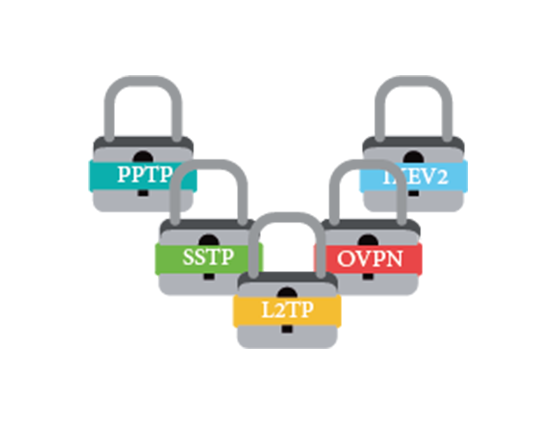 PPTP is fast since it adds low computational overhead when encrypting packets. 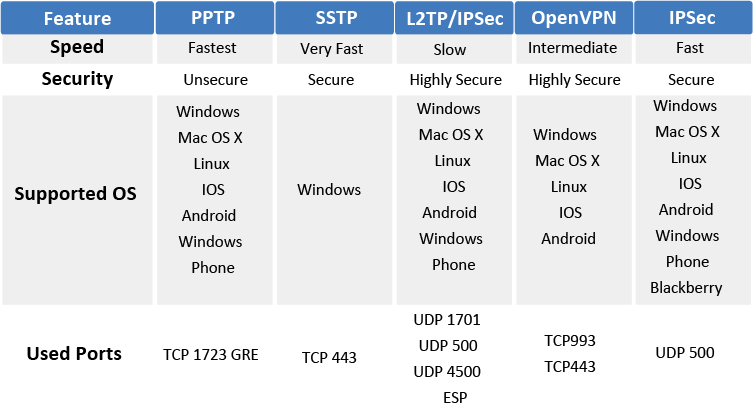 Even though PPTP is considered unsecure when compared with other VPN protocols, its advantage is its speed which is adequate for online video and audio streaming. Layer 2 Tunneling Protocol (L2TP) is a VPN tunneling protocol usually implemented with IPSec as a powerful additional security layer that aims to provide security and privacy. Using L2TP/IPSec, data is encapsulated twice and thus slows things down. However, overall it is considered a very secure encryption algorithm with no major known vulnerabilities. OpenVPN is a new open source VPN technology that uses Open SSL and SSL/TLS protocols. Compared to other VPN algorithms, it is considered the most secure since its algorithm is exposed to the public and yet no one has succeeded to break such a powerful and reliable encryption algorithm. OpenVPN is extremely difficult to block but it is considered slow due to its encryption complexity. IPSec provides a secure tunneling protocol across a public network. IPSec was developed by Microsoft and Cisco together. It is considered at least as good as, L2TP in terms of security, performance and stability. IPSec is recommended to mobile users due to its speed, security and its improved ability to reconnect when an internet connection is interrupted. - Fast, No encryption overhead associated with Point-to-Point protocols (PPP). - Stable when switching between Wi-Fi networks or after losing internet connection. - Not supported on many platforms. - No open source implementation thus it cannot be independently audited for back doors. Casper VPN uses 5 of the strangest VPN protocols to ensure your online security. View this table to summarize the differences between these 5 protocols.